Played rugby from Primary school and stopped in Varsity after two operations (Shoulder, knee). 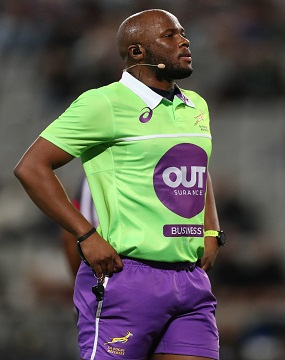 After I stopped playing rugby, I still wanted to be involved and not as a coach, so I chose the job that no one really wants and that was to referee. Brother played for WP emerging squad. Cousin played for Lions and Border. Control the controllable and enjoy.